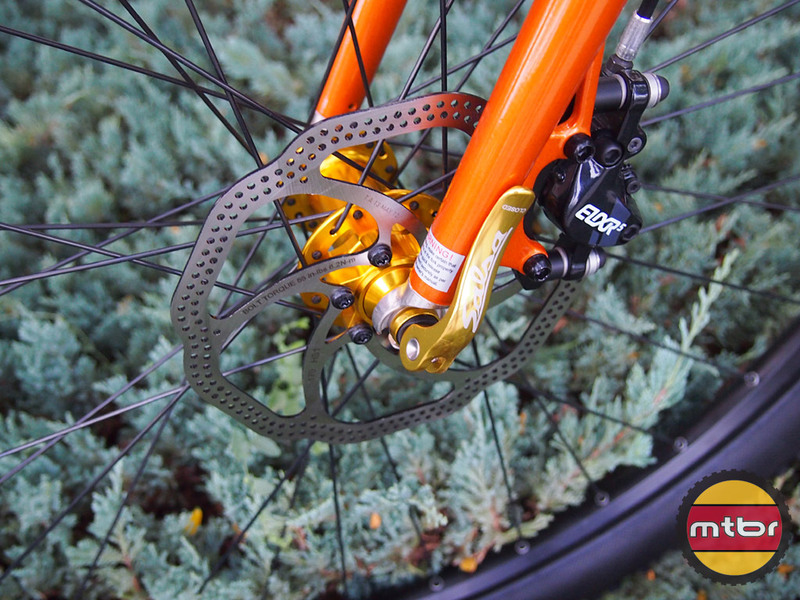 QBP is the largest bicycle parts distributor in the US. 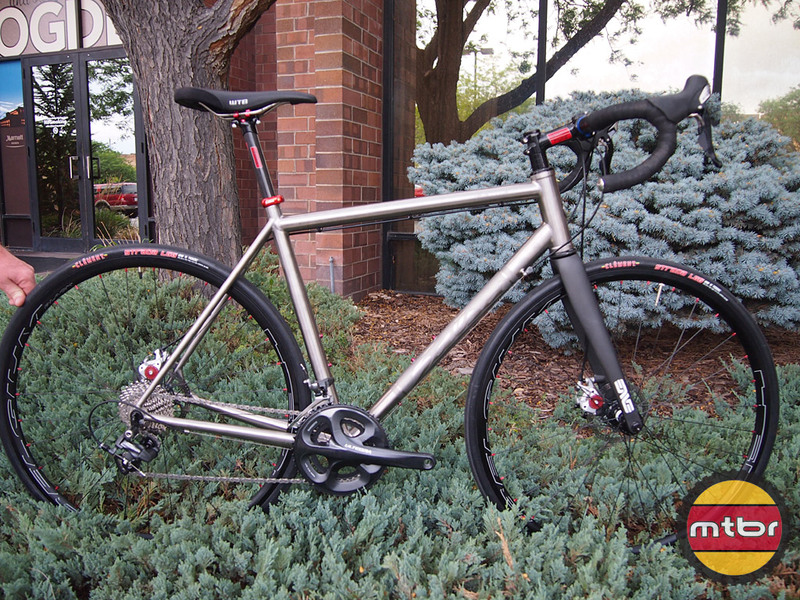 Every year, they hold their SaddleDrive event to give bike shops a first look at the bikes, parts and gear that they stock with a focus on the brands that QBP owns like Salsa Cycles and Surly. 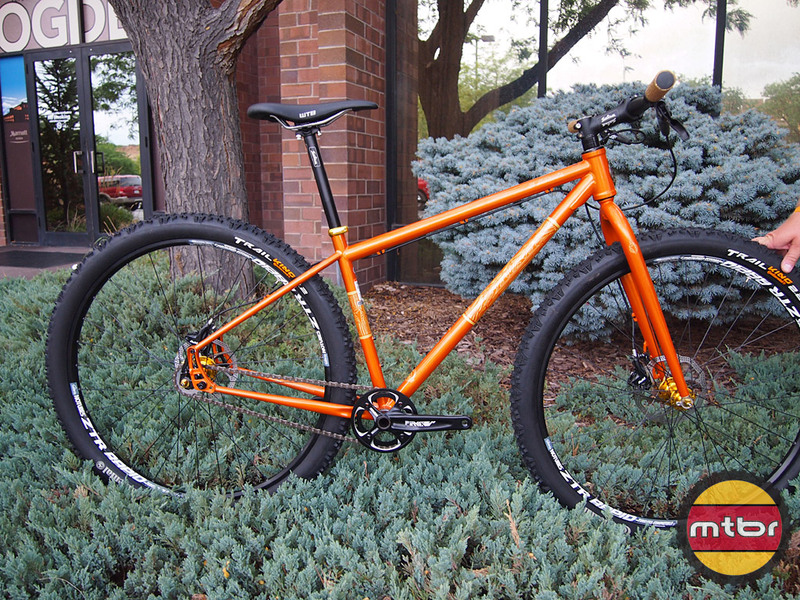 Shown here are a few photos of 3 new Salsa bicycles for 2013: a limited edition (only 300 being made) El Mariachi, the Colossal (dedicated road bike with disc brakes, Ti frame) and the Beargrease (a 28.5 lbs racing snow bike). We only have a few feature highlights right now, but we’ll be adding more info (like pricing and availability) as we get it. Only 300 being made. 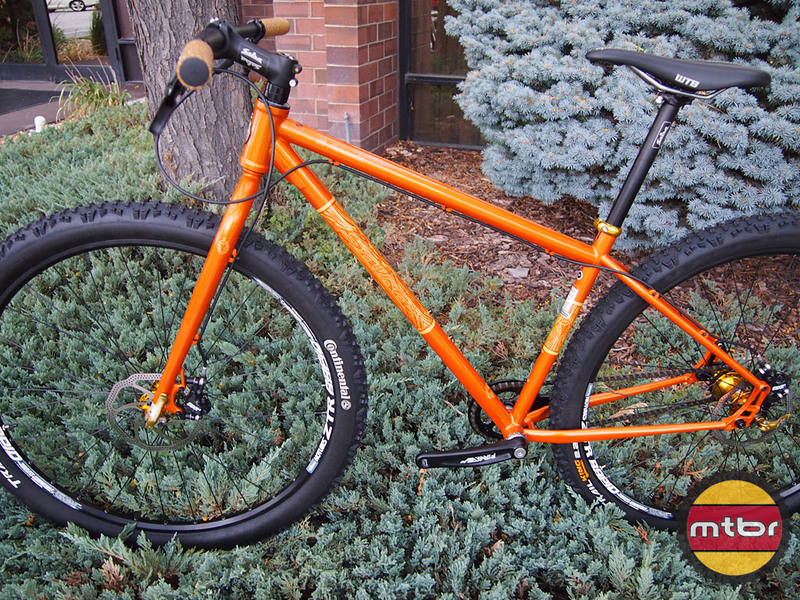 Made as a single speed only, no shifter cable braze-ons or derailleur hanger (uses Salsa’s Alternator dropouts). 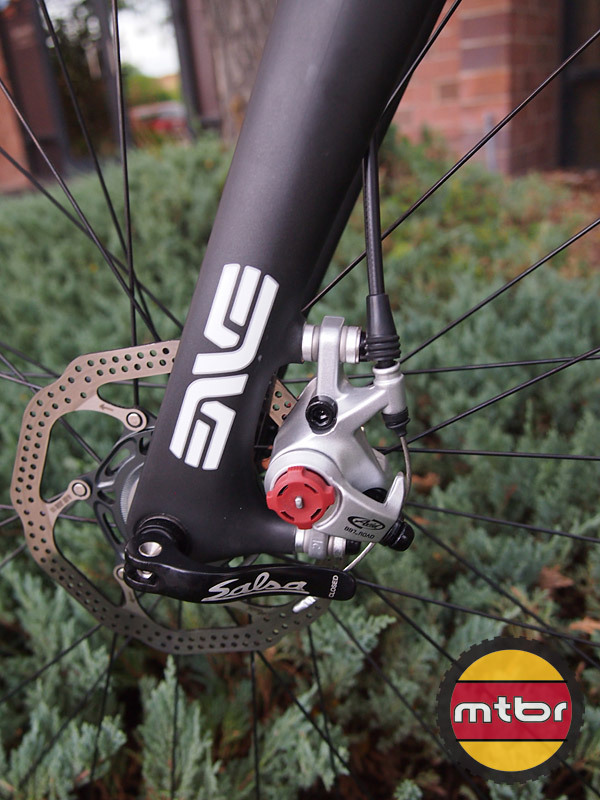 The road specific carbon fork was developed by Enve for Salsa for 140mm rotors (with cable actuated disc brakes). The Colossal sports Hed Belgium rims (blacked out w/new graphics). 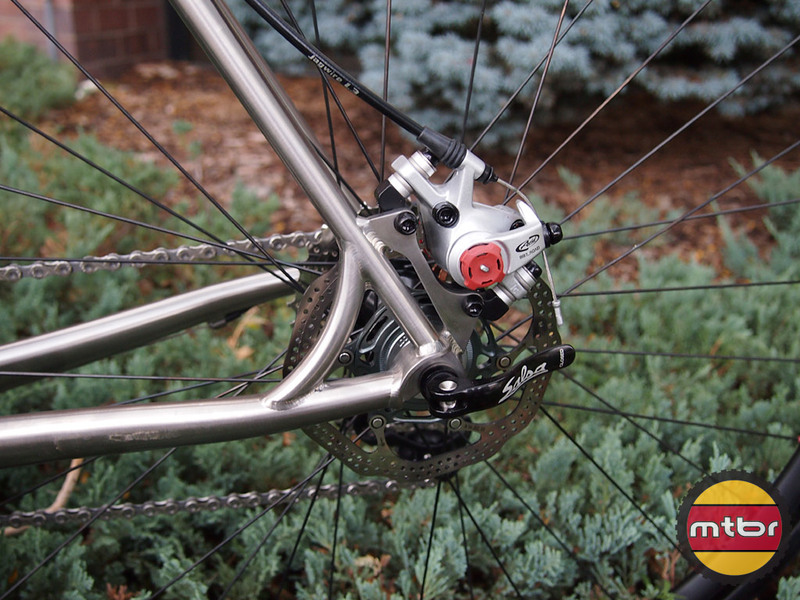 The rotors are SRAM HSX Centerlock rotors. 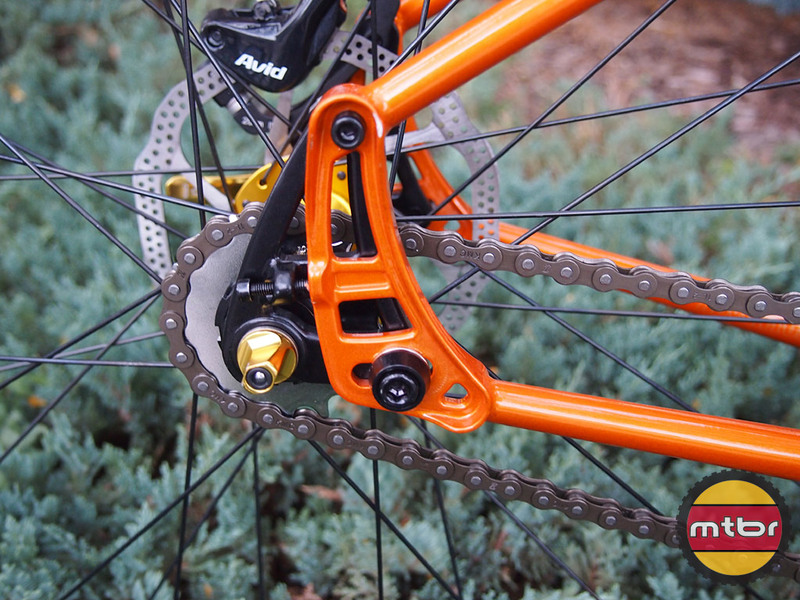 The frame is double-butted seamless 3/2.5 ti. 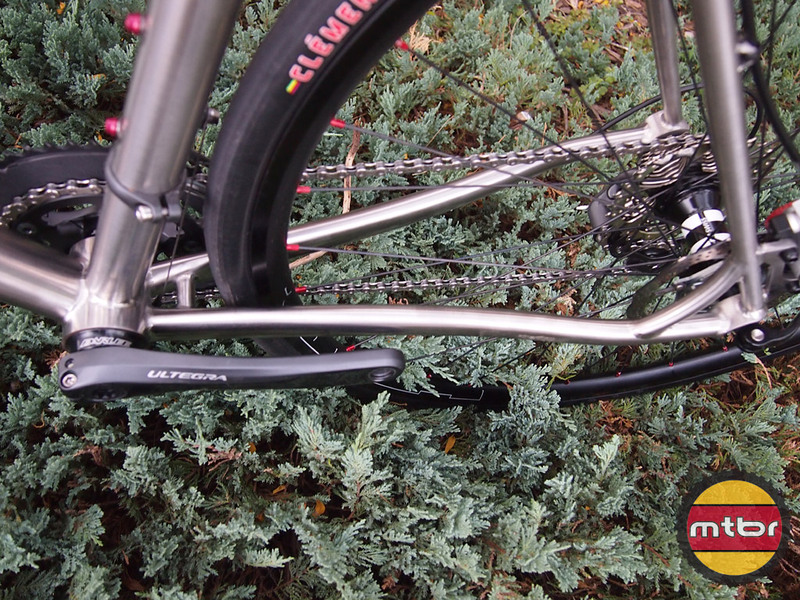 The tubes are shaped for the chainstays and seatstays to provide a smooth ride. The more I see of Salsa, the sadder I am that I don’t have the market to sell them. Great looking stuff. Again. No rack or fender mounts on the Colossal? WTF? The main justification for discs on road is better performance in the wet and carrying a load. If we can’t do that on this bike, what’s the point? Please tell me this isn’t the final product! I road this last night at the Carver Lake Salsa Demo. Yes the TI Mukluk was bombproof but for the dollar value this bike was my favorite of the evening. It handled like gem. Factory gearing etc. was just fine. Handle bars and seat of course are personal but if you can find one and are in the market for a S/S, I can’t say enough about it.